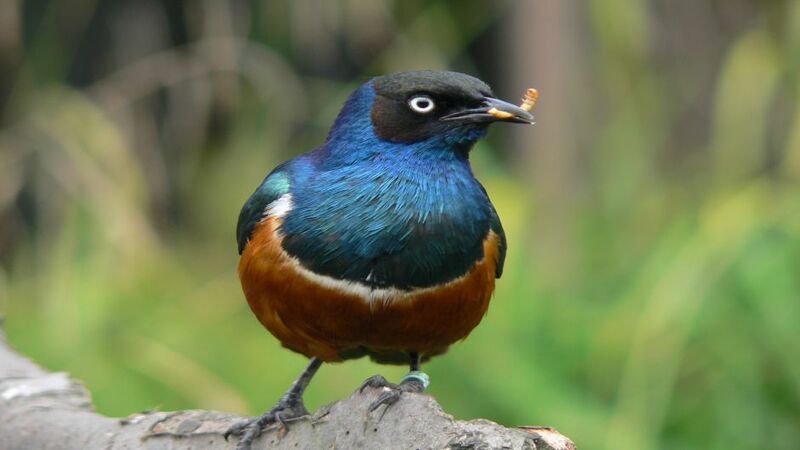 The superb starling has intense and vivid colors. 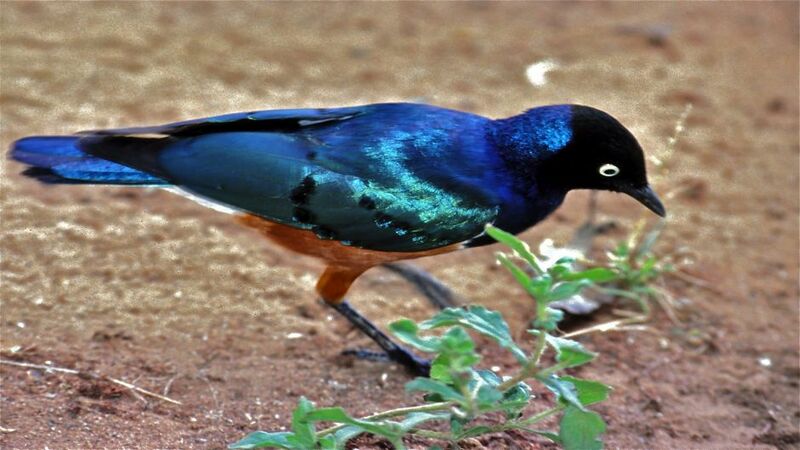 The natural habitat of the magnificent Espreo or also known as superb Starling is found throughout East Africa, more specifically in the forests and lakes of Kenya, Tanzania and Ethiopia. 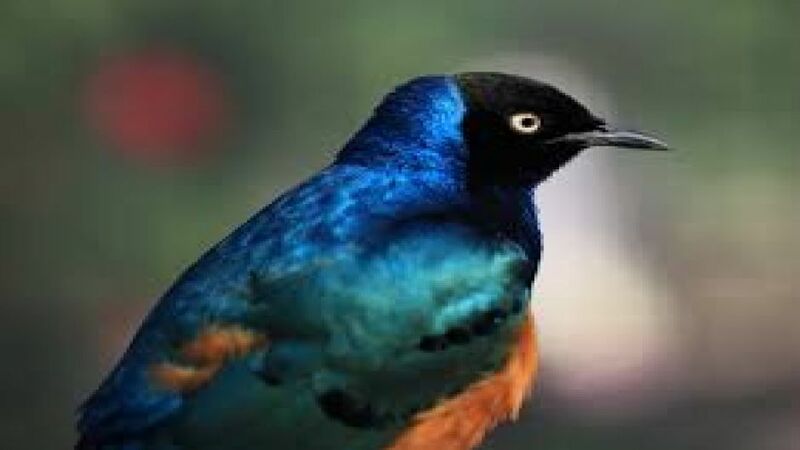 The superb starling is between 18 and 20 centimeters. 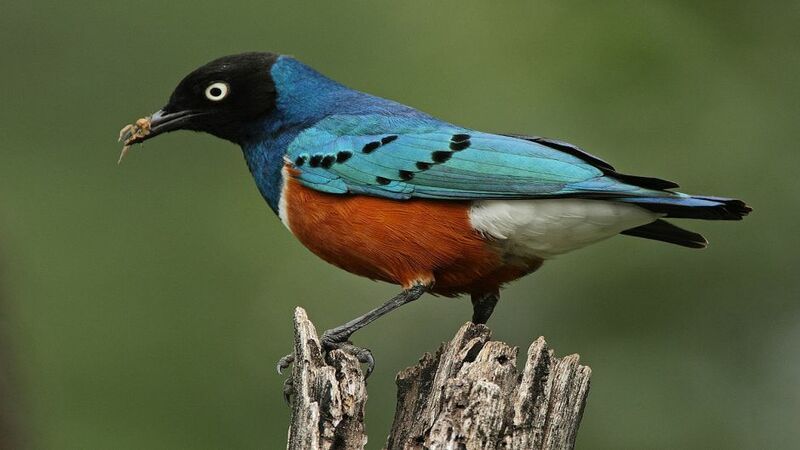 Of beautiful and varied colors, its plumage highlights oranges, greens, blues and blacks. The feathers of the tail are tricolor: blue with a touch of green and white on the bottom. 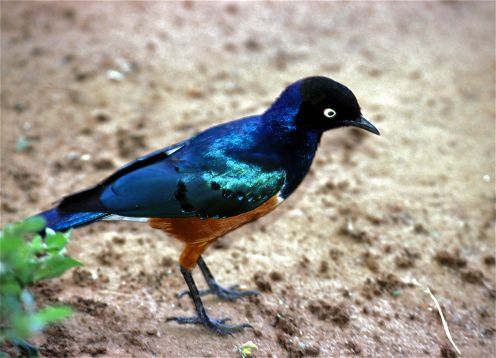 The head is black and the neck, chest and back are blue except in the line of the belly that is between yellow and orange with a white stripe.